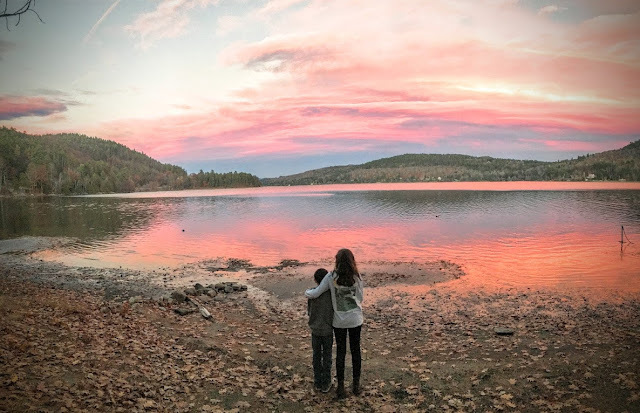 April Graney: Graneys Go Sabbatical! Sunset just outside our cabin at Word of Life Camp in New York. Last week, we packed up the kids, turned off New Life Ranch Road onto 412 and headed down the road for the continuation of our sabbatical! Eight weeks, 20 states, and 2 countries are on the destination list! While making our way up to Word of Life Camp in upstate New York, we are visiting great American historical sites along the way, then headed down the east coast to Florida where we will catch a plane to the Dominican Republic. We'll serve there at Student's International and meet our Compassion International sponsored child, spend Christmas back in Florida with Tom's parents, and finally head home! Whew! What a trip! We've made it thru the first week of hurried and fun sight seeing, and have now landed at Word of Life where we will rest and spend the next 9 days before hitting the whirlwind of travel again. Love these ladies creativity and heart! First stop, Nashville, TN, where we stayed at our former Bible study leaders' house from when we attended Dallas Theological Seminary, Monty and Kimberly Waldron! 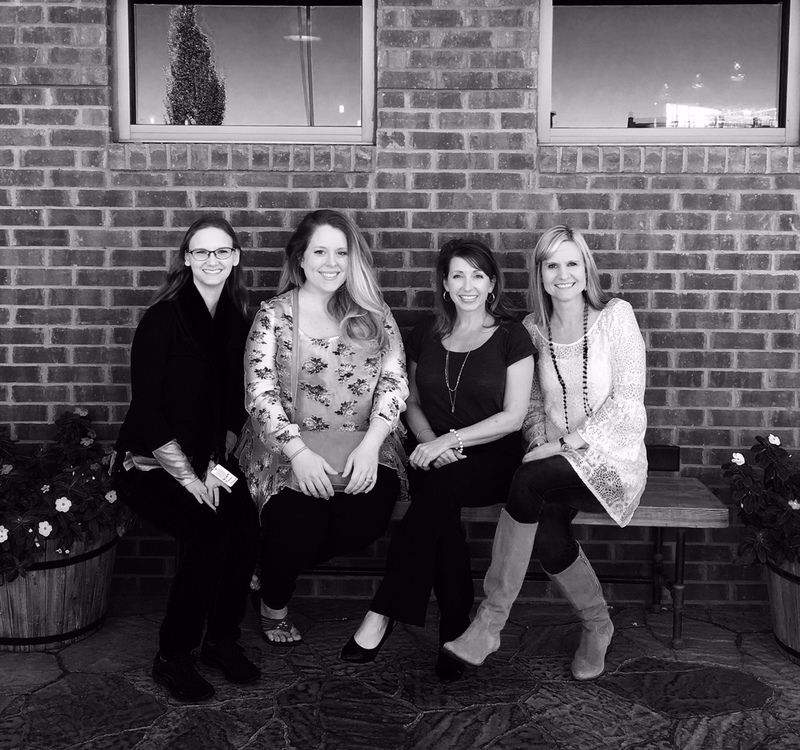 We enjoyed catching up with Monty, as Kimberly was out of town at a conference. 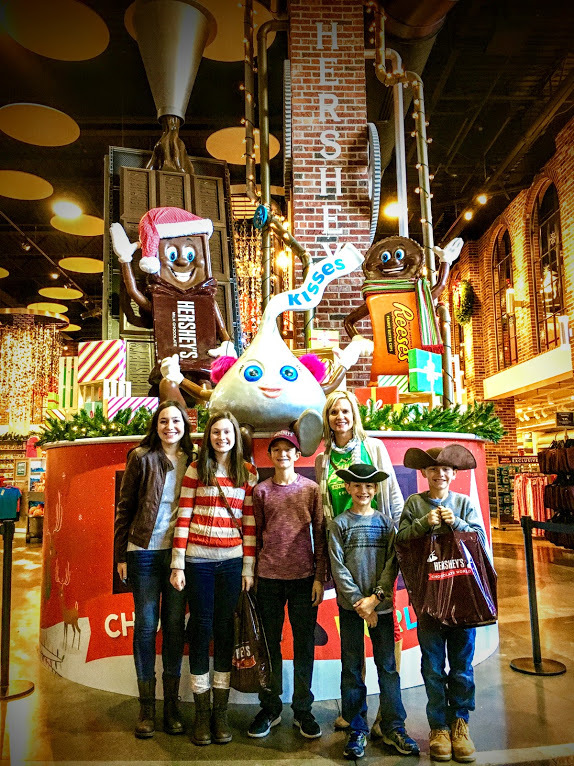 I also had an amazing lunch with my editors at B&H Kids! 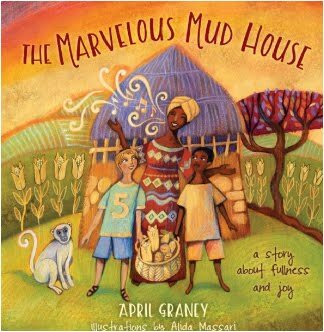 I had the opportunity to share my heart and the story behind, The Marvelous Mud House. I learned that a contract was offered to an artist in Italy, Alida Massari, to illustrate my book. This past Tuesday, she accepted the offer and we should have a cover by December, go to print in April or May, and hit stores in October/November 2017! Just extremely thrilled to see how the Lord has blessed this little book of mine so far! From Nashville, we hit Monticello, the home of Thomas Jefferson. Did you know that he owned over 4,000 books! He gifted them to the Library of Congress to replenish their library, but then realized he couldn't "live without books" and so bought over 1,000 more before he died. 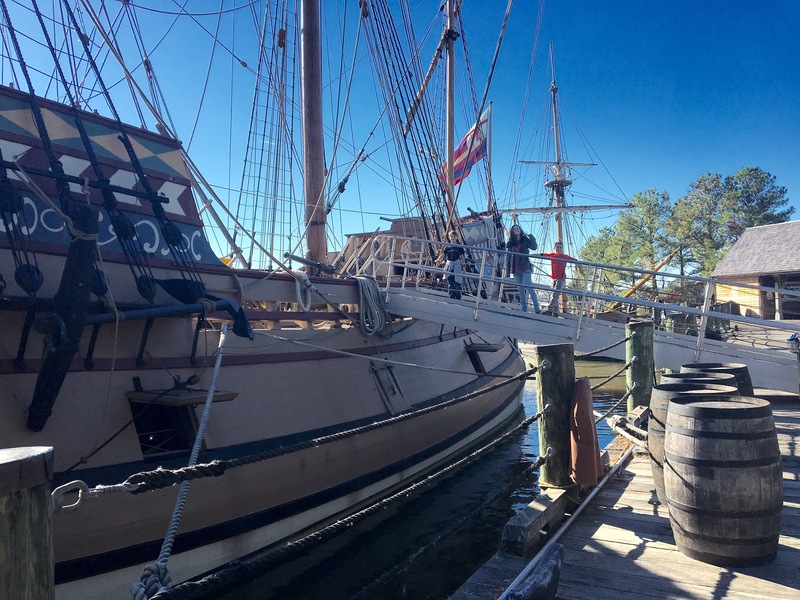 After Monticello, we headed towards Williamsburg, VA where the historic colonial homes and streets were beautiful and the cannon demonstrations loud. 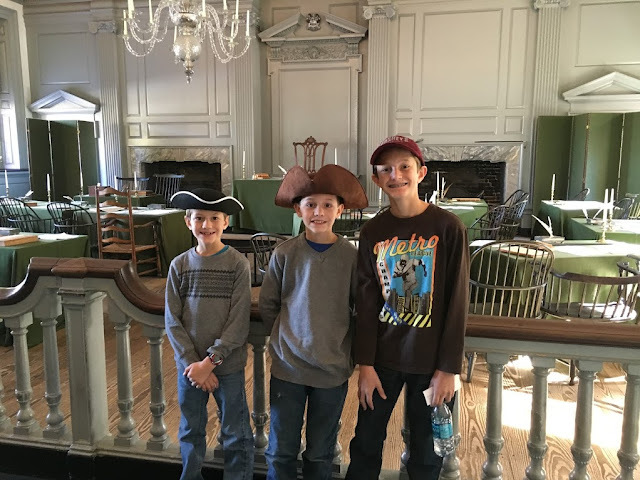 We also toured Jamestown Settlement and Yorktown and the boys found their three corned hats, of course! 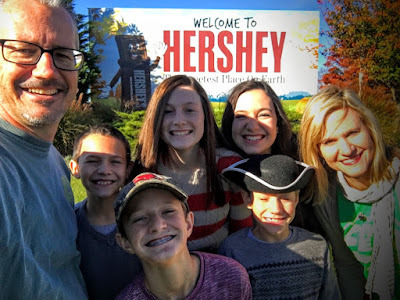 Next stop, the sweet town of Hershey, Pennsylvania! Ezra was particularly excited about this as he has studied and knows Milton Hershey's life story. Ask him about it sometime! He's love to tell you about Milton's failed candy business attempts, his discovery of a new and better way to make caramels, and finally his dedication to trial and error as he sought the perfect milk chocolate recipe. 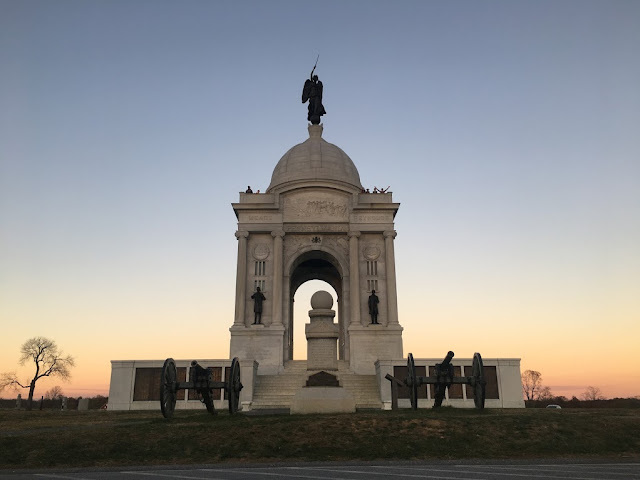 Then on to Gettysburg, PA where there are monuments galore! We bought a 2 1/2 hour audio CD tour of the battlefield to listen to as we drove around it in our car. We managed to spend almost 3 1/2 hours at this amazing site of trial in the history of our nation. Next up, probably my favorite site: Philadelphia, Pennsylvania! Of course, the liberty bell, but Independence Hall and Congress Hall were just amazing! 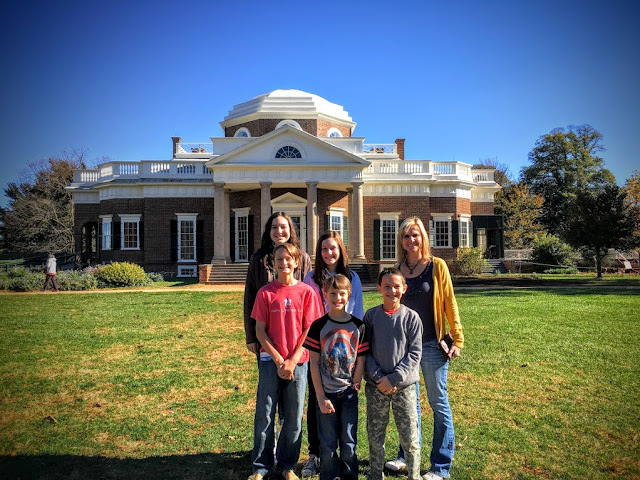 Our tour guide impressed us with the dedication of the founding fathers to draft a declaration, and then a constitution that would guide this great country, all while masses of protestors protesting British taxation gathered outside the building on the lawn. 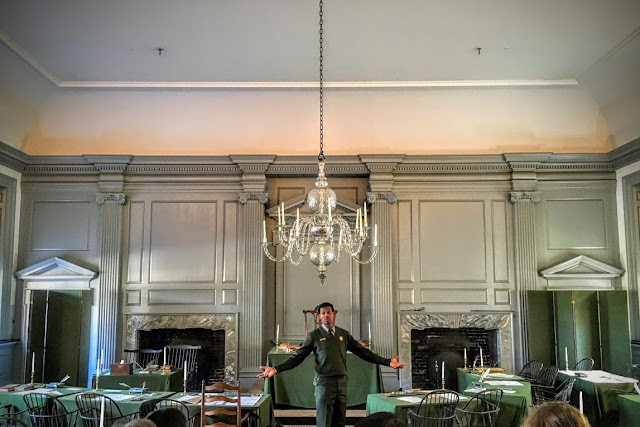 The chair where George Washington sat with the rising sun on it's back still sits in that room. Our incredible tour guide at Independence Hall. 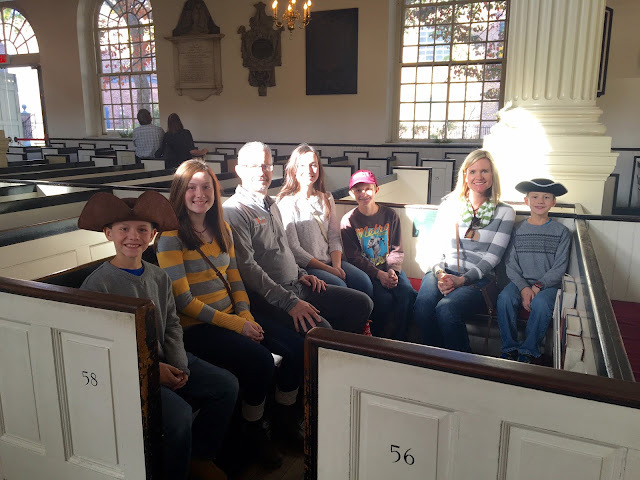 We also saw Carpenter's Hall, the place where the founders first met secretly for the very first continental congress. 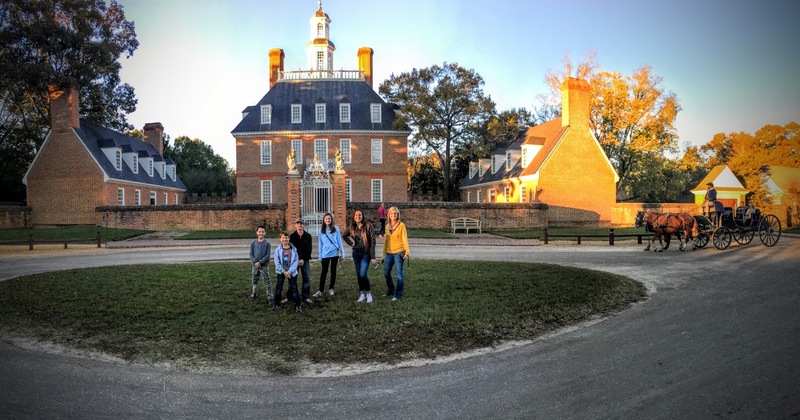 We saw Benjamin Franklin's ghost house and the museum highlighting his incredible genius as an inventor and his most prized accomplishment, his printing business. We visiting Christ's Church, and sat in George Washington's pew box. Carpenter's Hall, site of the secret first Continental Congress meeting. And of course, a trip to Philly, wouldn't be complete without Philly Cheesesteaks (the cheese wiz was surprisingly awesome) and the Rocky Steps at Philadelphia Museum of Art. Finally, we arrived at Word of Life Camp in Schroon Lake, New York on Wednesday evening. We are in one of their family units with three bedrooms, a living room, and a kitchen! We're enjoying a slower pace, cooking our own meals, teaching the kids to play Phase 10, and reading and math assignments for the kids. The view outside our cabin on the lake is beautiful! Thankful for safety with all of our traveling and wellness for all. 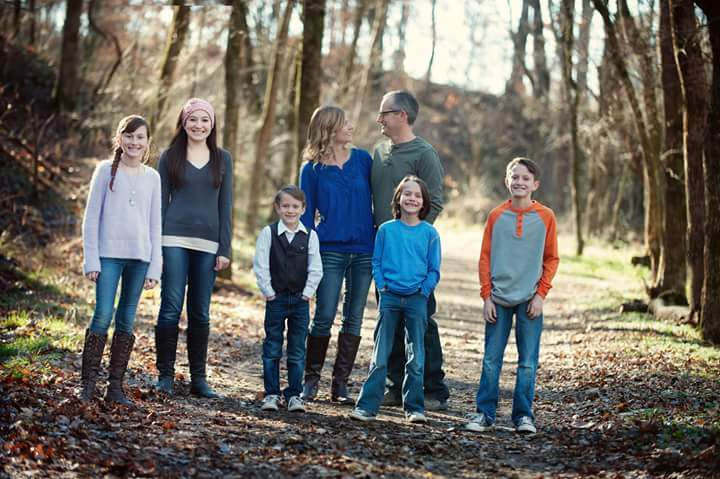 We appreciate your prayers as we continue this Graney's Go Sabbatical Journey!